Jim Starlin is a legendary comics artist and writer. Beginning his career in the early 1970s, he is best known for space opera stories; for revamping the Marvel Comics characters Captain Marvel and Adam Warlock; and for creating or co-creating the Marvel characters Thanos, Drax the Destroyer, Gamora and Shang-Chi, Master of Kung Fu. 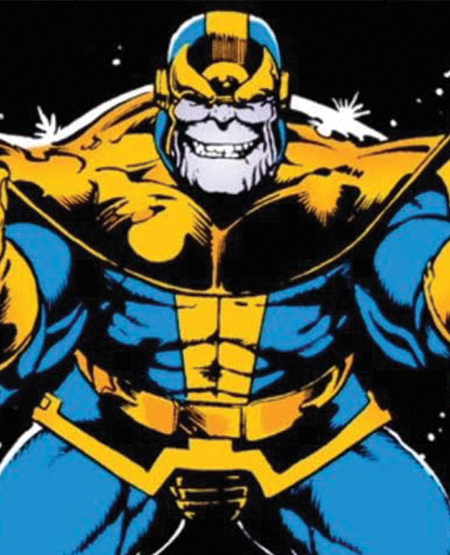 Jim Starlin wrote the classic comic story The Infinity Gauntlet, which the hit Marvel films Avengers: Infinity War and Avengers: Endgame are based on. Later, for DC Comics, he drew many of their iconic characters, especially Darkseid and other characters from Jack Kirby’s Fourth World. For Epic Illustrated, he created his own character, Dreadstar.